The Fur Guru’s worldly travels continues, my darlings, and this week I’ve got a story you can really sink your teeth into. A few days ago, as I wandered the banks of the Danube River in Budapest, Hungary, opposite the majestic Hungarian Parliament Building, a familiar face emerged from the crowd. Of all the millions of people that call this culturally rich city home, I stumble into the cheerful Bianca Margarit from Bucharest. Bianca a third-generation furrier who, with her innate knowledge and passion for fur, is leading the next generation of fur designers and creators on a fur renaissance. And this guru is joining them! After exchanging pleasantries, Bianca decided to join me on my river-side walk and it wasn’t long before we began discussing our favourite topic – fur! As Bianca recalled her favourite memories I became enamoured, so in awe of how this twenty-one years young woman (a lot younger than this guru, let’s just say that) has not only achieved and experienced so much, but has even more to share with others. Let’s start from the very beginning. After Bianca’s grandparents joined the fur industry in 1938, Bianca grew up in their family store, Casa De Blanuri MG, which was born the same year as Bianca herself. And while today Bianca has become accustomed to the behind-the-scenes workings of the fur industry, it’s her personal and emotional experiences with fur which this guru connected most with. Reliving her first memory of fur with me over a bottle of prosecco (my new beverage of choice, in case you hadn’t noticed), seated in the Onyx restaurant on Vörösmarty Square in the heart of Budapest, Bianca remembered fur as nothing but “soft” to the touch. Of course, Bianca was too young to comprehend fur farming’s high welfare standards or the intricate craftsmanship of fur manufacturing, she learned all of this at a much later stage of her life. But, for Bianca, fur has always been a home comfort, one which made her feel safe. Allow her (through me) to explain more. Casa De Blanuri MG Christmas 2013 window display. From sleeping on fur as a baby, which reminds us all of furs history as a natural survival material, to being featured in the International Fur Federation’s (IFF) FUR NOW 2018 campaign, Bianca admits her relationship with fur is strong, but it has not always been easy. In fact, at one moment Bianca recalls her passion for fur became rather strained. Children, in their infant naivety, would often tease Bianca about her family’s history of working with fur. And while she was always quick to remind them she is as much an animal lover as she is a fur obsessor, two beliefs that can coincide (and two beliefs this guru shares), instead of turning her back on the fur trade industry, Bianca educated herself and embraced it even more. In fact, being introduced to adversity so early on in her life only strengthened Bianca’s resolve to better inform herself as well as those around her, while also continuing to spread the message of the industry: that fur is a natural and sustainable material. The story of young Bianca’s life only gets more interesting. As Bianca has matured, she’s become more confident in her heritage and an active supporter of consumer choice. And maturing with her is a tale of fashion, a particular story of hers which this guru has fallen in love with. When Bianca was a new-born baby (in the 90s when the likes of me was partying in studio 54, yes, I was cool once!) her family gifted her a made-to-measure fur gilet. And with each coming year, when Bianca grew bigger and bigger, the furriers at her family shop altered the gilet to make it bigger. This process of upcycling has been a tradition in Bianca’s life, and twenty-one years later she still wears the fur gilet. Amazing, right? While this guru has heard many stories about recycling, upcycling and restoring fur garments, never have I discovered a more timeless and meaningful article of clothing than this. But even more so, this story is one that far exceeds Bianca’s life story – it captures the mood of the entire fur industry. What do you mean, Fur Guru? I hear you ask. Well, my darlings, this story from Bianca encompasses our belief, that fur is a considered purchase and is to be loved, reused and never discarded. So, whether it may be tailoring your grandmothers fox coat to fit yourself, or turning old-fashioned garments into fresh accessories, there is no waste with fur – it’s a timeless fabric which can live on decades. And when the time comes, as it does with every living thing on this magical planet we call earth, it will biodegrade without a trace just as fashion should! On to our second (or third) glass of prosecco, Bianca and I begin discussing the industry shifts that she’s noticed first-hand from working in her family’s store – the biggest of which is a distancing from mass production and a step towards unique pieces and you guessed it my darlings, upcycling! While upcycling and remodelling fur garments may not be as commercially viable as manufacturing new ones, Bianca’s family and their business pride themselves on reworking vintage garments into modern pieces, a value which far exceeds monetary gain.  As a family they appreciate slow production and artilier craftsmanship over the mass production of fast fashion. Sustainability over profit is their mantra, it’s what they invest in. it’s their legacy. A legacy that Bianca is becoming increasingly concerned about, understandably. 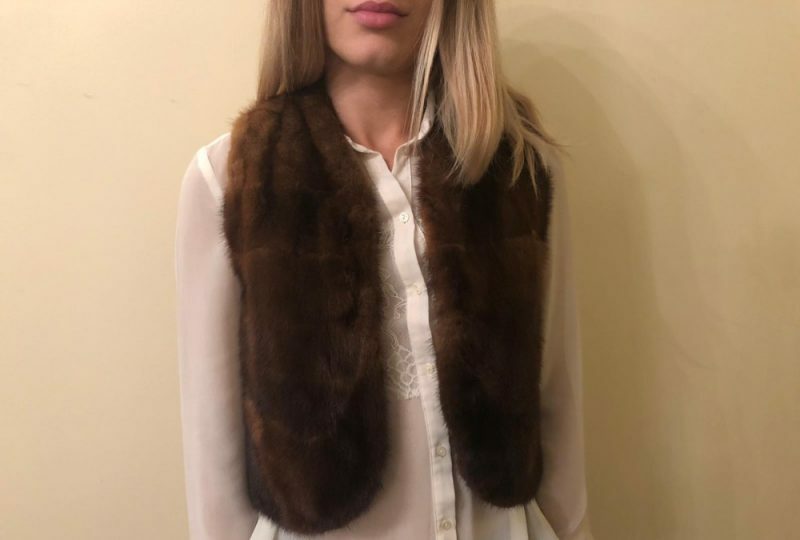 Bianca, along with over one million fur industry workers whose livelihood depends on the fur trade, from farmers and dressers and dyers to desginers and retailers, wonders how she can keep the craftsmanship of working with fur alive. She ponders and plot what she can do so the skill itself is never lost. The answer? Carpe Diem! (sieze the day). Today, Bianca interns at Elle in Bucharest. A role which not only feeds her hunger for fashion knowledge and experience, but also allows her to educate the industry from within the industry. While consumerism on a whole is experiencing new trends like sustainability, this message has been at the core of Bianca’s relationship with fur. And she now sees herself as a proud ambassador for the fur industry of which she, as part of the next generation, uses her voice to communicate her message. Bianca has transitioned from a position which is often considered to be on the outside looking in, to the heart of fashion industry looking out. Looking out towards all natural, responsible and sustainable fabrics, like fur, which Bianca delights in telling me will be the source of inspiration when selecting materials to create her own line of bum-bags (I think she means fanny packs, but that’s millennials for you!). While I could sit here and listen to Bianca talk all day, this Guru has an exhibition in London which they must attend (more will ensue). But as we depart, I will remember the glint in Bianca’s eye when she told me how the furriers, two of which have been with Bianca’s family for twenty-seven years, even before their shop opened, are like family. I will recall her smiling from ear to ear as she boasts about the craftsmanship that turns her family’s customers’ dreams into realities. And I will never forget Bianca’s unwavering rejection of fast and plastic fashion. Bianca is an environmentally-conscious fashion-forward millennial who is at the forefront of the next generation of fashion luminaries. She is an informed and formidable force for whom sustainable fashion isn’t a choice, but a way of life. So, while Bianca’s journey may not have always been easy, she, like the fur guru, will always defend her fur heritage. 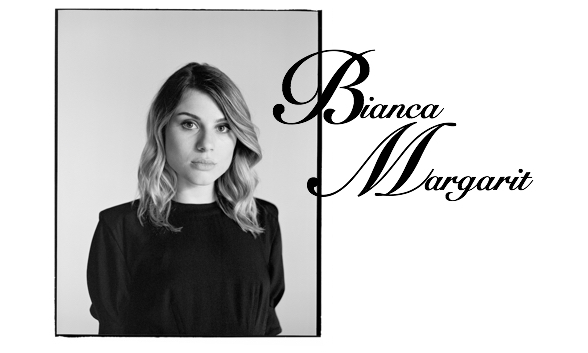 Bianca is part of the next generation of fashion leaders: proud, creative and unafraid. Do you come to USA I would love to meet you if not Skype?